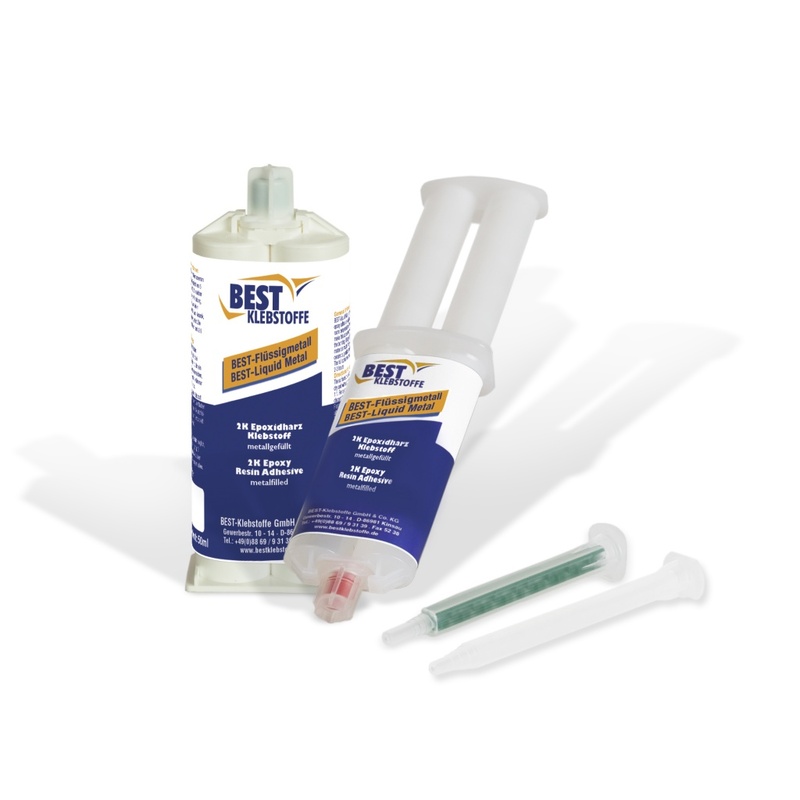 BEST-LIQUID METAL is a two component epoxy adhesive which cures within 5 minutes after mixing (at room temperature). Liquid metal develops its high bonding strength and chemical resistance within a short time frame. It is a 100% reactive epoxy-adhesive, suitable for bonding and filling of many materials including wood, metal, glass, ceramics, plastics and rubber. excellent bonding strength on a multitude of materials, e.g. aluminium, copper, steel, brass, concrete, FK/SMC, wood, glass, plastics ceramics, painted metal, graphite, polyurethane, galvanized metals, hard plastics, etc. Bonding surfaces should be clean, dry and free of grease. Mixture ratio: 1:1. For best results discard the first millimeters of bead dispensed. The adhesive must be applied to the bonding surface directly after mixing.